I discovered my love of hostels when I started backpacking in Cambodia and Thailand. 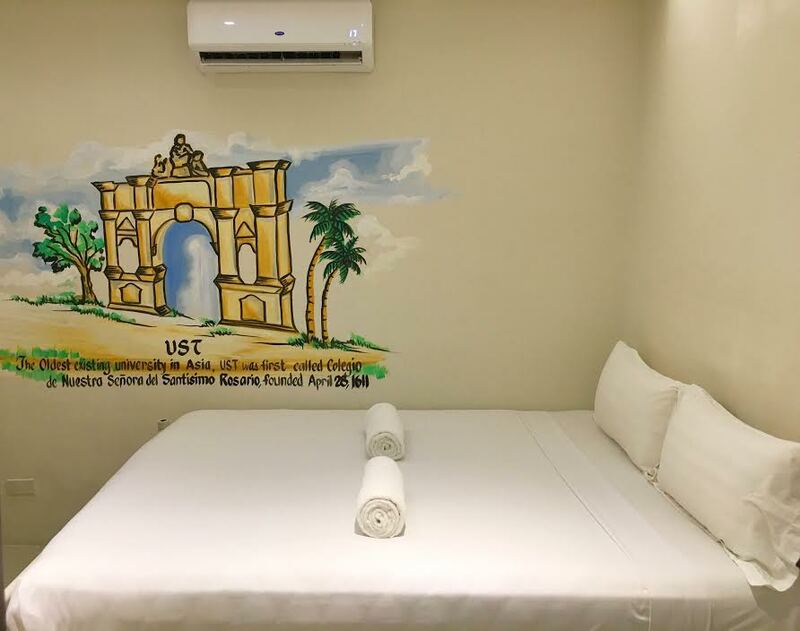 Hostels in these parts of Southeast Asia Region are unique, budget friendly, clean, and comfortable. And the best part of staying in a hostel is the opportunity to meet different people all around the globe. 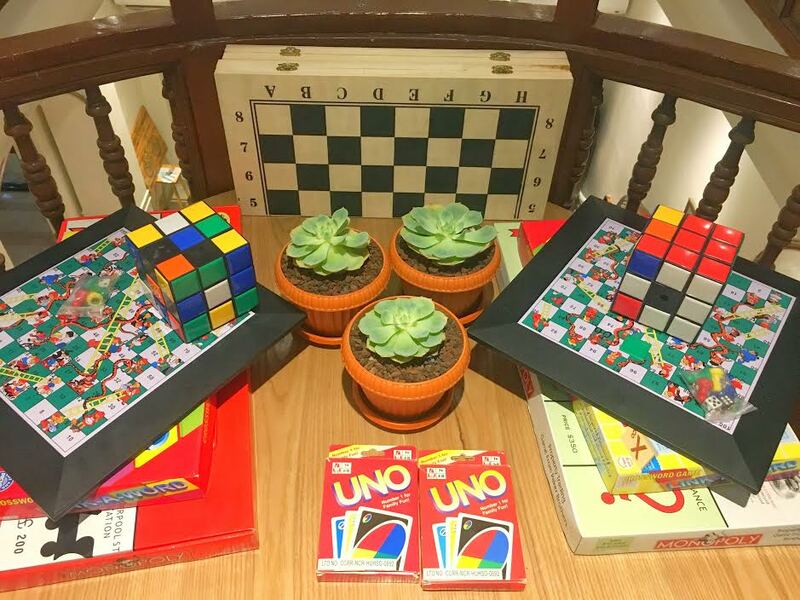 The hostel is strategically located in the busy part of Manila, right in front of a big mall and is surrounded by cafes and a thriving nightlife. 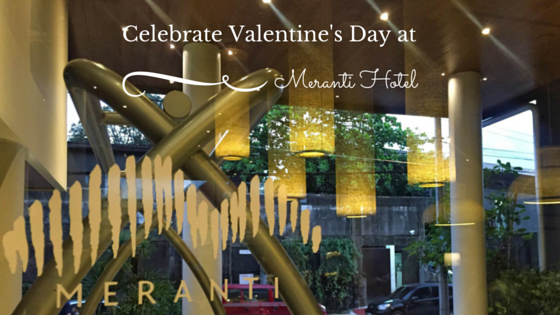 It is only a few minutes away from the city’s historical sites, such as Rizal Park, National Museum, and Intramuros. This restored mansion was converted into a hostel with a touch of Japanese-inspired capsule bunk bed. Upon entering the place, I was impressed on how imposing the lobby is. It is, by far, the grandest hostel lobby I’ve ever seen. The walls are painted white mixed with a shiny wooden interior. A large chandelier hangs from the ceiling that perfectly illuminates the lobby, adding to the cozy ambiance. 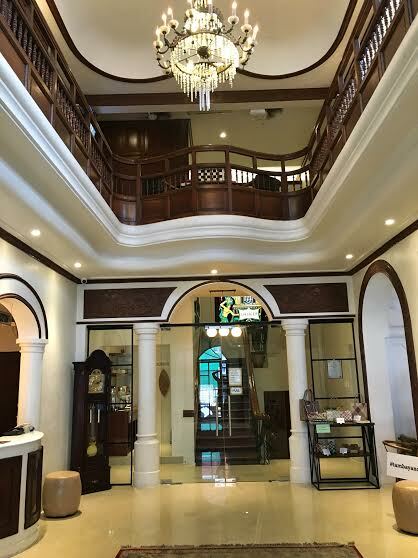 The pillars and arcs gave me an idea on how the Spanish Colonial Architecture influences the design of this mansion. The staff are wearing 80’s retro outfit, which made Tambayan Hostel’s personnel distinct from other hostels. Their rooms are named after popular Filipino heroes. I stayed in a private room called, Mabini, an air-conditioned room with television and restroom. It’s a wide, clean, basic room, with a comfortable bed. What made it different is the UST’s Arch of the centuries painted on the wall. I love how this hostel values Filipino history and culture. Just so you know UST is the oldest existing university in Asia founded in 1611. A unique restroom always excites me, though I didn’t expect to see something special here, I was surprised when I saw their old-fashioned, bronze-plated faucet and shower. I loved how they incorporated the theme to the smallest detail of to retain that vintage feel. The stair has a smooth and shiny brown banister that leads to the second floor. 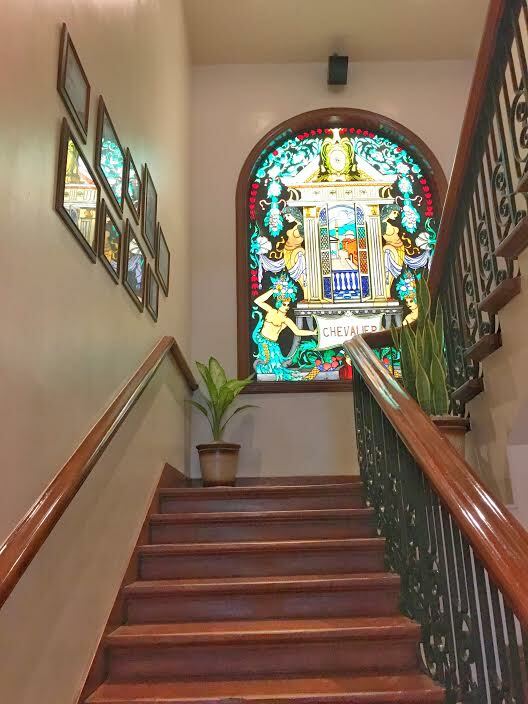 There are photos of old Manila hanging on the wall and a huge faux stained glass in the center. The quality is far different from the usual hostel I stayed in. The second floor is where the common area is, where travelers can play board games, read books, watch TV, or simply hang out. My only wish is that this area is bigger so more guests could sit and interact with one another. There was a vacant capsule room to visit when I was there so I checked it out. I’m curious if it’s comfortable to sleep in those. 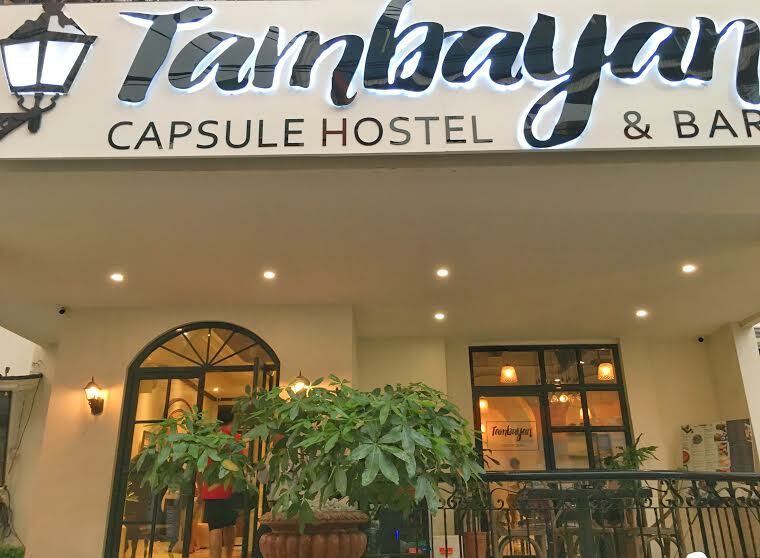 Tambayan is the first hostel in the country that I know that offers the capsule accommodation by the way. Inside the capsule is a soft, clean, and white bed. It has its own light, a small fan, and an outlet for you to plug your gadgets. It looks nice but I won’t recommend it to someone who is claustrophobic. They offer mixed and female room only but the difference is giving you more privacy. 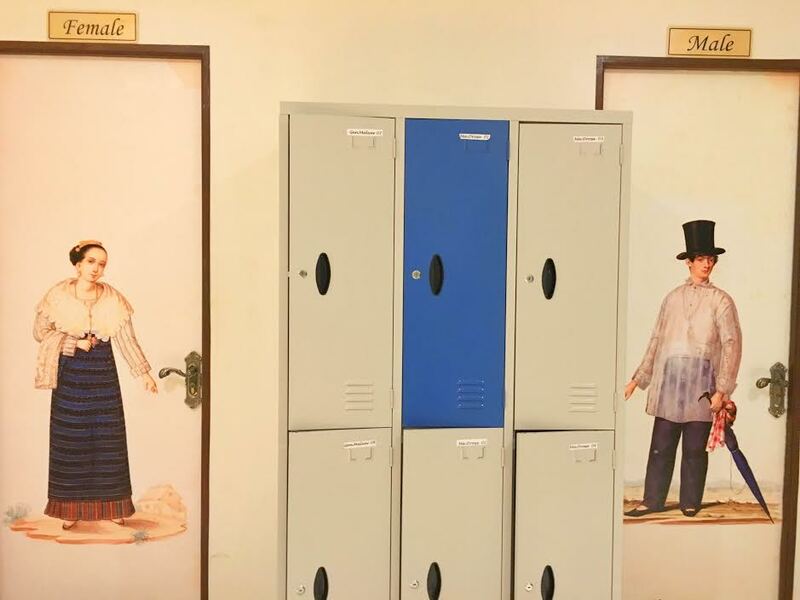 There are available lockers where you can keep your belongings whenever you’re away. If you stay in the shared room, you have to share the bathroom with the others. Don’t worry because it is well-maintained, clean, and odorless. I loved how the doors are painted with Barong at Saya, the unofficial national costumes of the Philippines. It’s the early pre-colonial clothing of Tagalog and Visayans made from silk in matching colors. As I walked around the hostels, I observed how the staff treated their guests; I wasn’t disappointed. I witnessed how the front desk team assisted their guests with smile and confidence. I received greetings from people who clean the room. They are also attentive to their guest’s needs. Moreover, there is strong Wi-Fi connection. I even got a good signal at their gastro bar where I stayed there for few hours. 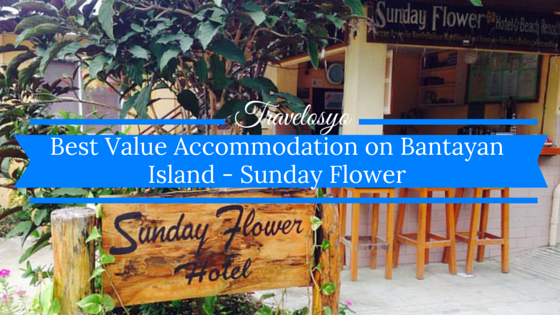 The place is not rowdy, which is how some hostels are so I was pleasantly surprised. There were a few people drinking. I only wish that they have an easy access to the bar because you need to go out of the main lobby to get there. 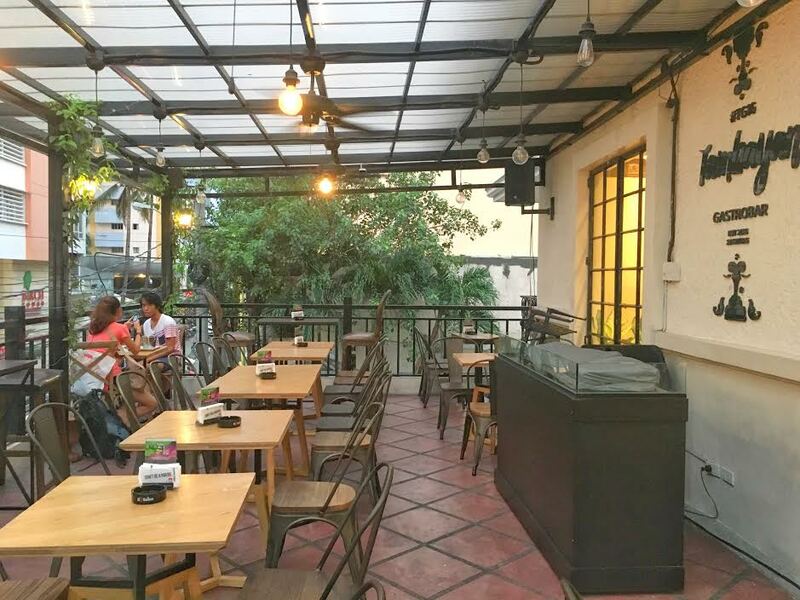 The gastro bar is an ideal place where backpackers could chill and talk. However, most people that time were walk-in guests. My only note to the management is for them to create a wider space where all travelers can sit and stay. That’s actually what I love about staying in hostels; the opportunity to interact with people. I woke up early to attend the 116th Celebration of Philippine Independence so I never had a chance to try their light breakfast. That is actually a good point for them because not all hostels give free breakfast. 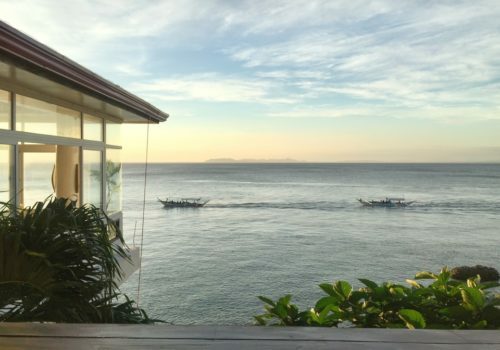 The light breakfast corner is just beside our room and guests are allowed to get pieces of bread, juice, or coffee from 7:00 a.m to 10:00 a.m. I totally enjoyed my overnight stay with Tambayan Capsule Hostel. 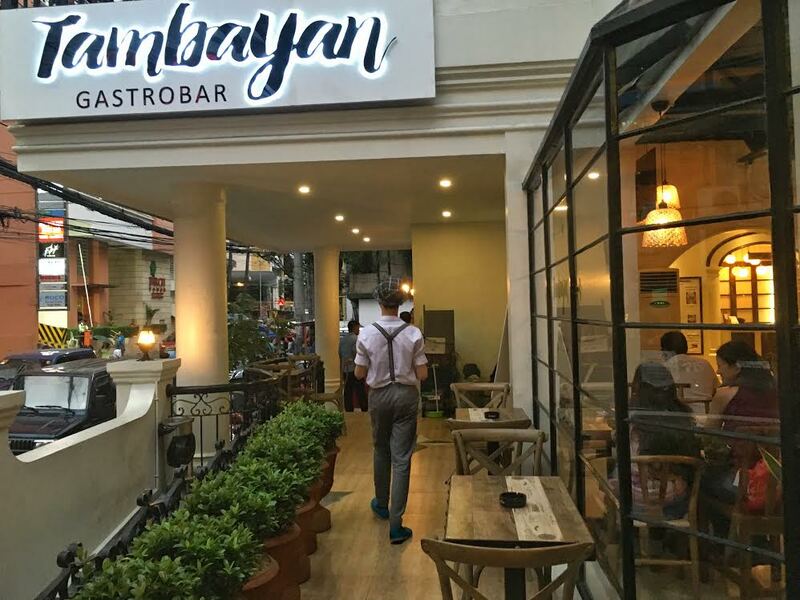 I know most of my friends both locals and foreign, don’t want to stay long in Manila, but hey, maybe they should reconsider now that there is a cool place where we could spend a good night while waiting for that flight. Tambayan Capsule Hostel is located at 1607 Bocobo St, Malate, Manila Philippines. Click this link to visit their website. 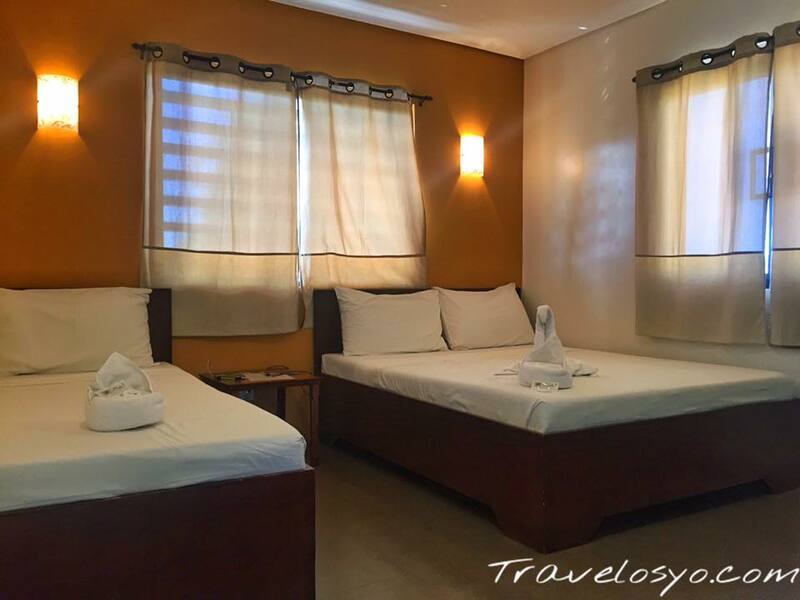 For booking on discounted rate book with Traveloka. Note: This is a sponsored hostel stay with Tambayan Capsule Hostel. All views, posts and opinions shared here are my own. I hope you posted the rates for the readers. 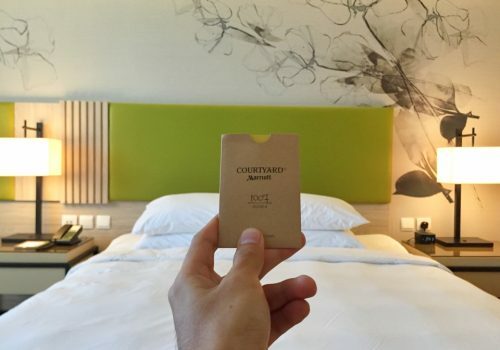 This is a great alternative to an expensive version of some hotels in Manila. That’s a nice hostel huh? and it looks clean and ideal for backpackers. Wow! It looks really neat! This is a perfect place for backpackers! nice! I was in Manila exactly a year ago after traveling around Luzon. I was keen on finding a serene place like this to spend a night or two. This would surely be among the best preferred ones in the city. The hotel rooms are really very tiny.. Interesting concept for a hotel. This hostel looks really elegant, so different from many others of its ilk. Loved how they have used elements of local culture and tradition in their interiors. More important it is heartening to learn about their service. It looks great for a hostel. It has old world charm. I would not mind sleeping here for a night. Looks like a great place for a hostel! I will def check this out when I visit Manila! That’s quite a nice hostel. Some are just run down places to stay at for a short period. This looks like a stay in itself. A capsule hotel is a fresh idea. I agree that we dont have numbers of hotels like this here. It was good knowing filipino businessmen are now tryingg to keep up with other countries. I must menntion that the hostel looks clean huh. We should have more of this, in different business districts. Very useful in case you’re too tired to go home and endure another nightmarish traffic, or when there is heavy downpour and you can’t go home bec. of floods. BTW, how much is the overnight trip? This looks cute! I hope you included their rates also so we can check. Anyway, it really looks like they offer convenience to their guests with the breakfast and gastro bar. Ijust hope the gastro bar isn’t that crowded, as you said people can walk-in for the bar. This hostel looks interesting. I agree that there should be more affordable lodgings in the country esp. in Manila. This would encourage more travellers, both local and foreign. I didn’t know Manila had a capsule hotel. This is definitely one of the grandest hostels I’ve seen, the lobby is beautiful. The hostel looks nice. I love the vintage vibe to it. I also like that’s near the mall and some other historical places in Manila. The place looks elegant and clean. I have a different idea where the word hostel is concerned haha. It must be from the movies. The capsule does look worrisome for the claustrophobic. I haven’t tried one. I wonder if I am. 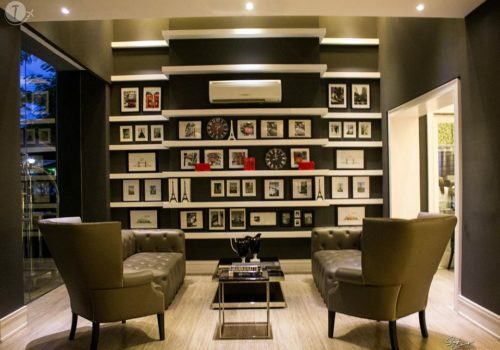 Tambayan Capsule Hostel puts a new class in a hostel because of its classical theme. I like how it represents the Philippines history in every corner which is just perfect for foreigners to get a view what the country is. 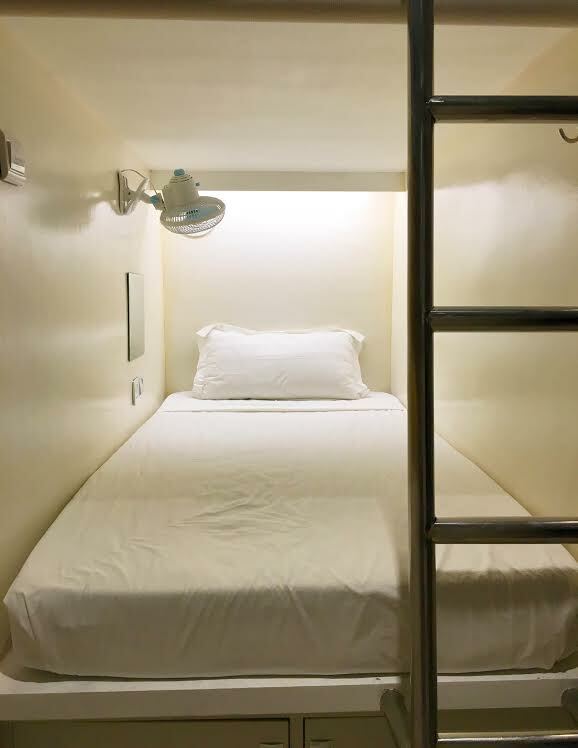 Nice capsule hotel and it is nice to know that there is nice hostel in the Philippines. I tried other hostels in Malaysia and Hongkong naman. What a neat place. They certainly make the most of the space with that bed setup! What a neat idea! 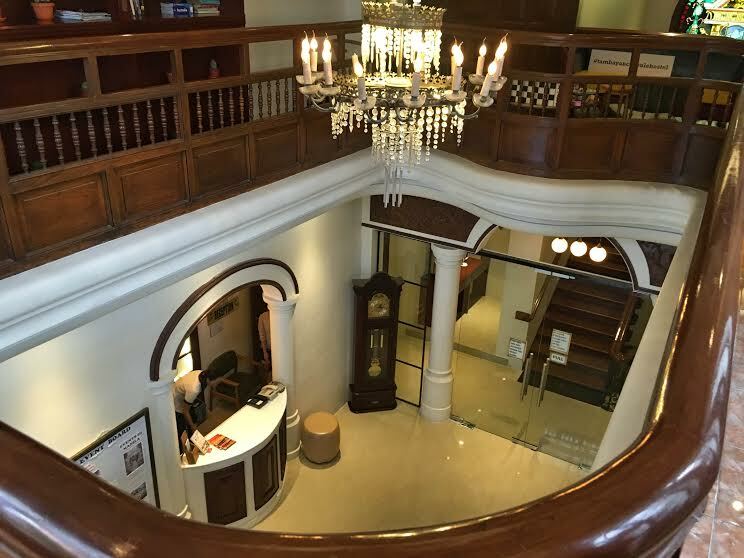 You have an elegant atmosphere and bar inside this lovely historical building, and capsule rooms to make it affordable! 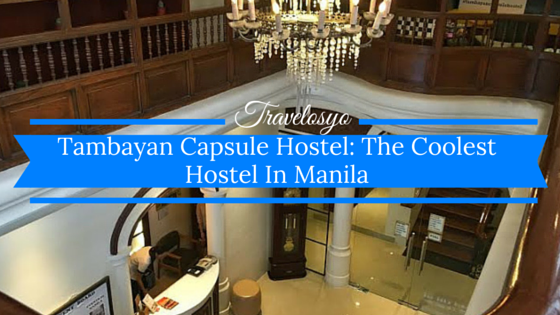 The Tambayan Capsule Hostel looks like a great choice for anyone visiting Manila on a budget. Thank you Samantha 🙂 I appreciate it! Hi Cai. The hostel does look promising. An interesting concept and kinda new here. Perhaps not for the claustrophobic. It’s new so it does look good. What is the outside like? Is it safe to walk outside of the hotel especially at odd hours? I had a chance to walk outside in the middle of the night and I feel safe. 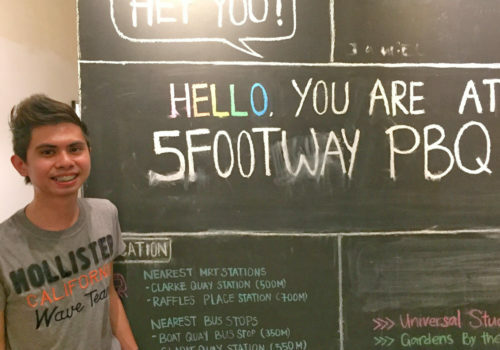 It certainly sounds as though the hostel scene in the Philippines is finally starting to grow. 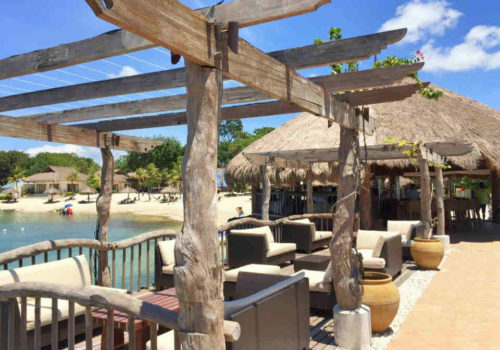 Coron Casa: The Place to be in Palawan!